The complete details are now coming together regarding that tropical wave currently near the Greater Antilles. This tropical wave will move through South Florida on Labor Day and bring rain, storms and breezy conditions. TIMING: As of right now, the wave will enhance rainfall Monday mid-morning through the evening. THREATS: Torrential rain is not expected, but on-and-off bursts of moderate to heavy rain are likely. This rain could cause minor road flooding (along those typical roads you may know of in each of your own areas). Totals look to range from .50 – 2.00″ in many communities with localized areas in Collier County potentially receiving 2.00 – 2.50″. Breezy to windy conditions are also expected as the wave moves from the southeast to the northwest through South Florida. The wave does have a medium chance of gaining strength once it traverses the south Florida coast, and that could be a great thing as higher east winds off-shore, mixed with a greater movement of water away from the South Florida coast could combine to lessen red tide effects. 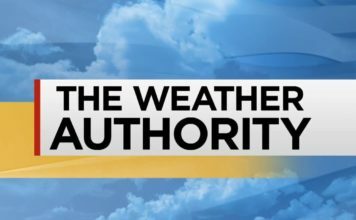 The National Weather Service issued a special alert regarding a tropical wave that will bring heavy rain to much of South Florida in the upcoming week. The NWS expects 2-4 inches of rain for Labor Day with heavier rainfall in eastern areas. 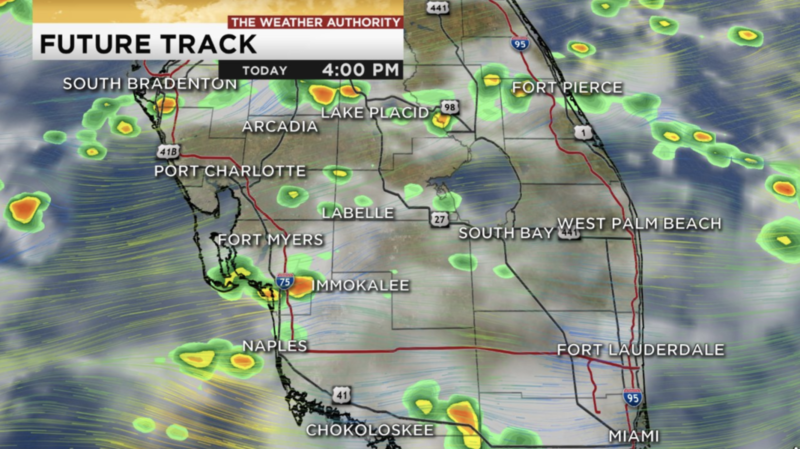 Scattered showers and thunderstorms, mainly after 2 p.m. Partly sunny, with a high near 90. Heat index values as high as 99. East wind 7 to 11 mph. Chance of precipitation is 50%. Sunday Night Scattered showers and thunderstorms, mainly before 2 a.m. Mostly cloudy, with a low around 75. East wind around 8 mph. Chance of precipitation is 30%. Tropical wave will bring an increase of showers and thunderstorms, mainly after 2 p.m. Partly sunny, with a high near 89. East wind 8 to 14 mph, with gusts as high as 23 mph. Chance of precipitation is 60%. Monday Night Showers and thunderstorms likely, mainly before 8 p.m. Mostly cloudy, with a low around 75. East wind 7 to 10 mph, with gusts as high as 18 mph.